Woads? Where we’re going, we won’t need woads. 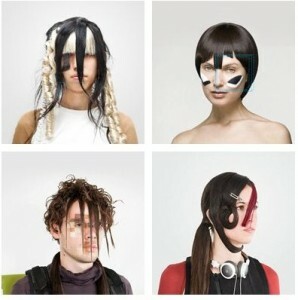 Looks like this one’s resurfaced again; we mentioned Adam Harvey’s efforts to spoof facial recognition software with weird asymmetrical make-up patterns a little less than a year ago, but the project now has its own name and URL – CVdazzle.com – and has expanded into using random hairstyling techniques… which should keep the junior stylists at Toni & Guy in business once the whole emo/Bieber/Lady Gaga thing dies out. Comments Off on Woads? Where we’re going, we won’t need woads.